Big thanks to Prolix for making Sven a full time joe.to server. A Ninja, Tokkengekko, myself, and a few others have already begun to play. The Second Playtest of Warforts by Tuesday's Avenger will also occur on this server and will be fast download enabled. 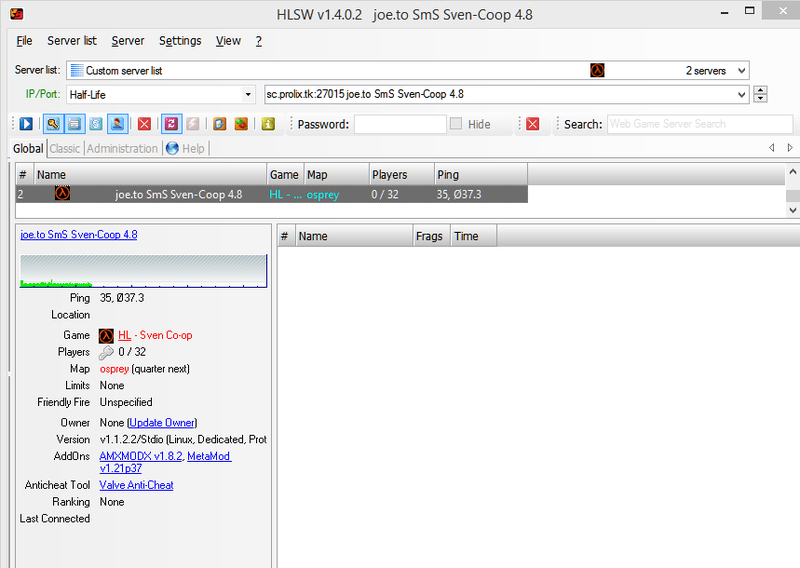 If you already have Half-Life you can easily join us by downloading Sven Coop 4.8. If you do not, the current price for the original Half Life is currently $10. Come by and join us whenever! Cool dude, edited original post to reflect the ip change. The quote there was purposeful though. My goal in news posting is not just simply to update the community on happenings but to also honor the posters that made the event possible. Its to bring attention to individuals contribution to our collective community and therefore give them the support they deserve for bringing about the event. Its also for the purpose of simultaneously hyping an event that occurred within our community while making direct reference to its source, letting everyone know how it came to be. Thats for the purpose of letting all in the community be aware and be participant observers in the change thats occuring. Its to prevent alienation of members from these events happening and let them be involved even if its through observation. It lets everyone be on the same page and not be left out. I think communities can become detatched and dissociated from themselves and my news posting is largely meant to help counter(especially when the context is a society and world where people are often reduced to means of production) and alieviate that. I apologize if I didn't make that clear with my posts in the "new direction" thread.